It’s the LEGO Teenage Mutant Ninja Turtles bouncing into the LEGO universe with their own brand of fun and excitement. 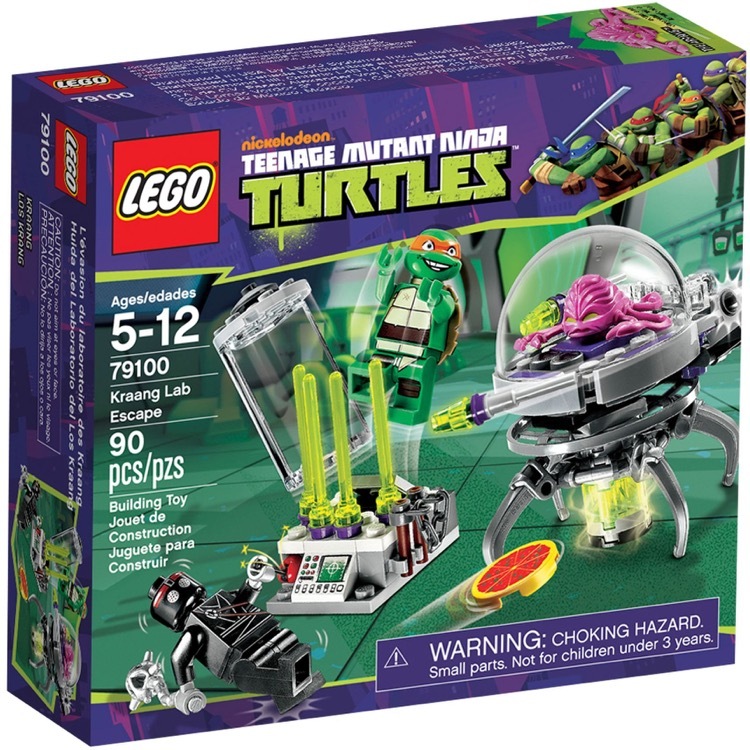 Develop building skills with all the cool vehicles and play sets of the LEGO Teenage Mutant Ninja Turtles. 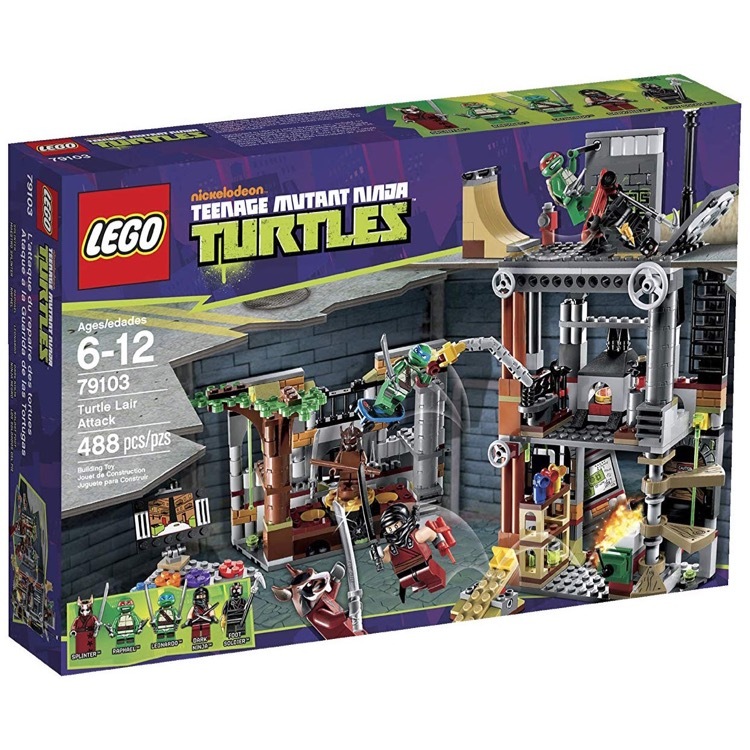 This is a BRAND NEW set of LEGO® Teenage Mutant Ninja Turtles: 79103 Turtle Lair Attack from 2013. This set is still factory sealed and the box is in very good condition with minor shelf wear. 488 pieces and 5 minifigures©. 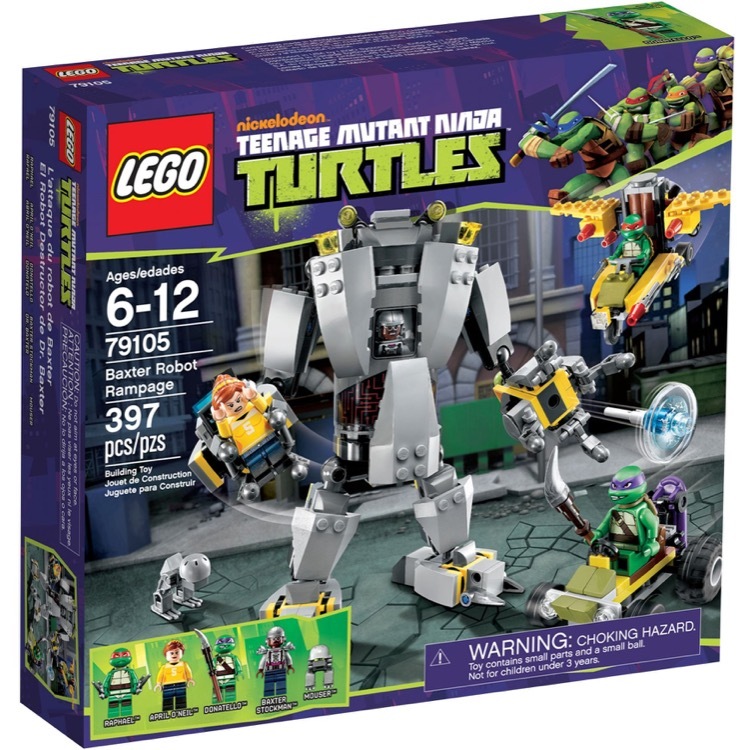 This is a BRAND NEW set of LEGO® Teenage Mutant Ninja Turtles 79105 Baxter Robot Rampage from 2013. This set is still factory sealed and the box is in very good condition with minor shelf wear. 397 pieces and 5 minifigures©. 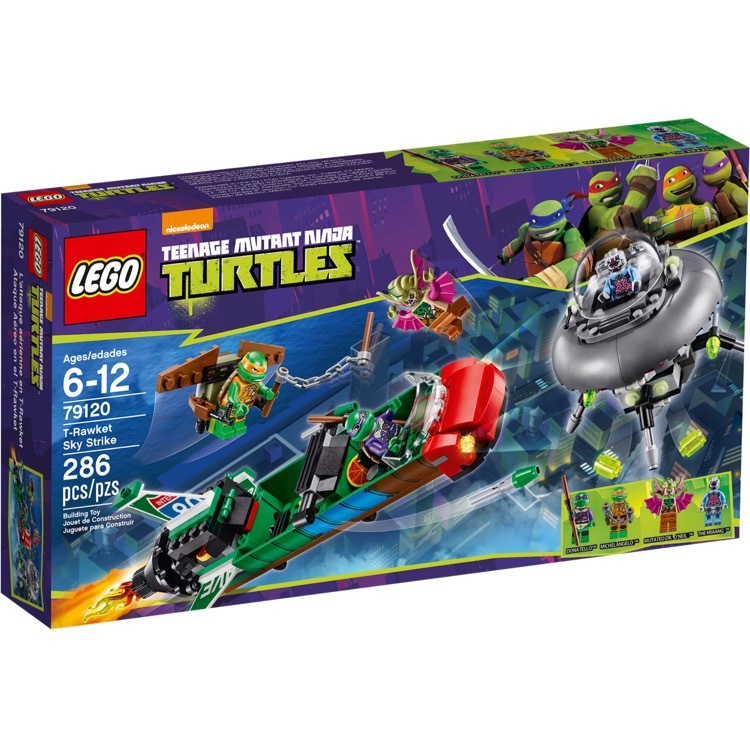 This is a BRAND NEW set of LEGO® Teenage Mutant Ninja Turtles Sets: 79120 T-Rawket Sky Strike from 2014. This set is still factory sealed and the box is in very good condition with minor shelf wear. 286 pieces and 4 minifigures©. 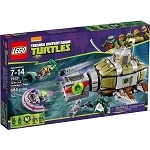 This is a BRAND NEW set of LEGO® Teenage Mutant Ninja Turtles Sets: 79121 Turtle Sub Undersea Chase from 2014. This set is still factory sealed and the box is in very good condition with minor shelf wear. 684 pieces and 5 minifigures©. 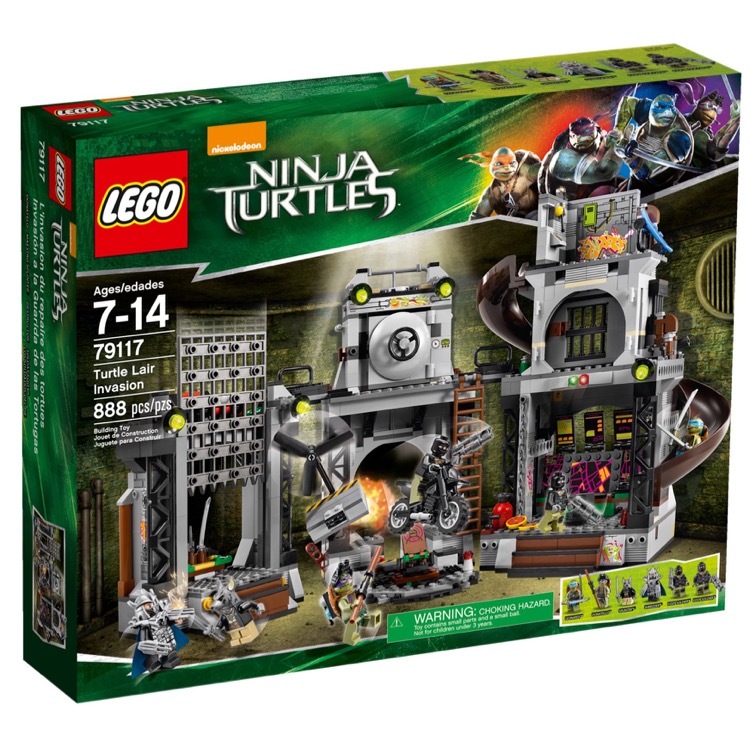 This is a BRAND NEW set of LEGO® Teenage Mutant Ninja Turtle 79122 Shredder's Lair Rescue from 2014. This set is still factory sealed and the box is in very good condition with minor shelf wear. This set contains 478 pieces and 5 minifigures©. 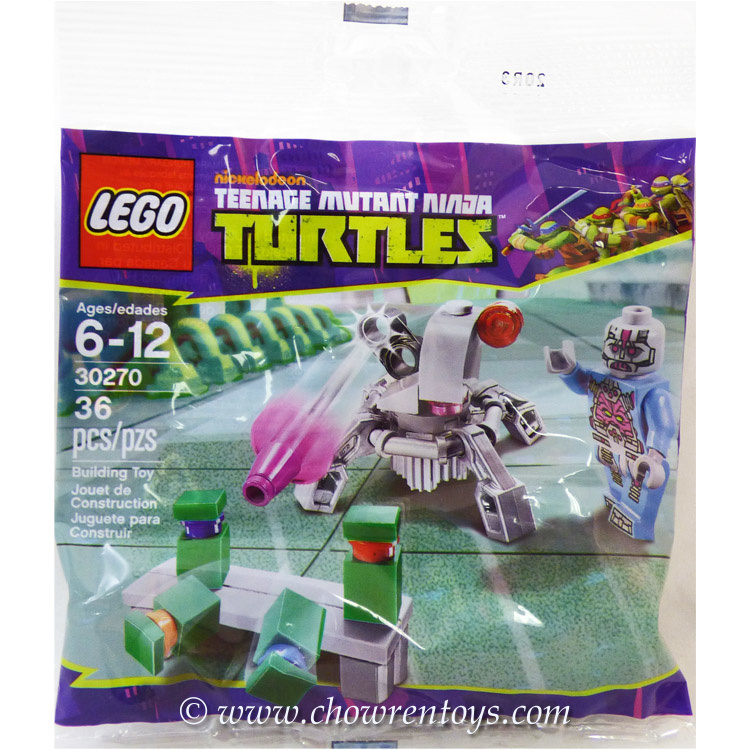 This is a BRAND NEW polybag set of LEGO® Teenage Mutant Ninja Turtle 30270 Kraang's Turtle Target Practice from 2013. This polybag set is still factory sealed and is in very good condition. 36 pieces and 1 minifigure©. 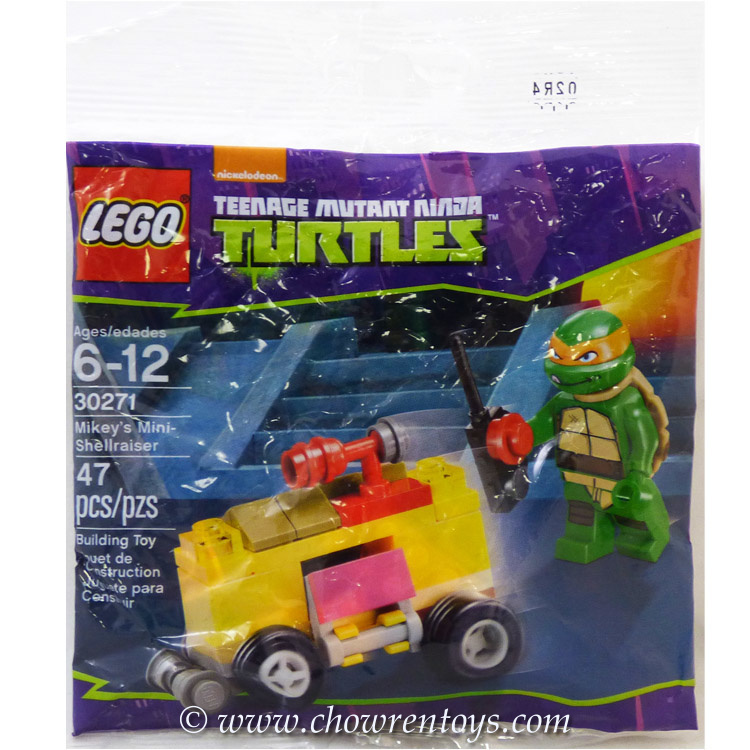 This is a BRAND NEW polybag set of LEGO® Teenage Mutant Ninja Turtle 30271 Mikey's Mini-Shellraiser from 2014. This polybag set is still factory sealed and is in very good condition. 47 pieces and 1 minifigure©. 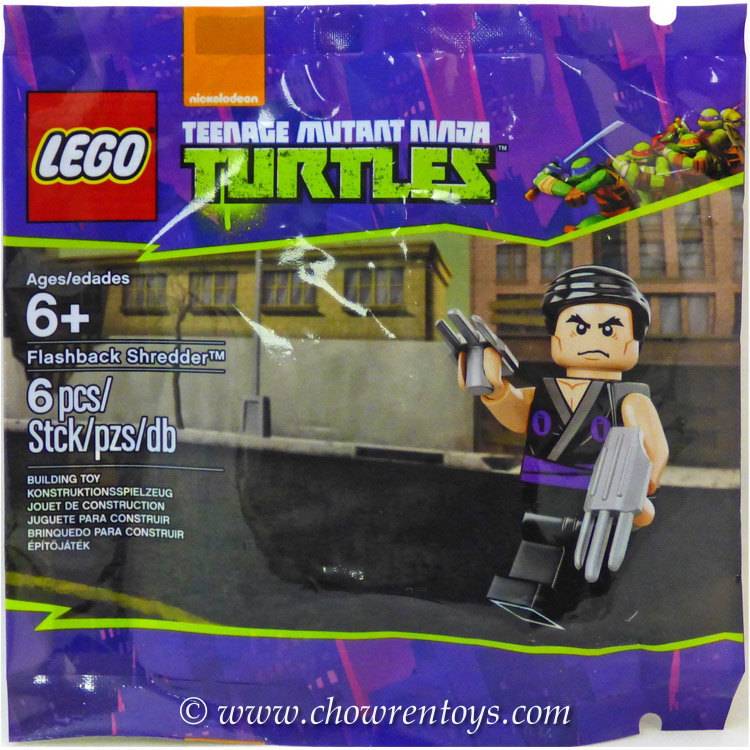 This is a BRAND NEW polybag set of LEGO® Teenage Mutant Ninja Turtle 5002127 Flashback Shredder from 2014. This polybag set is still factory sealed and is in very good condition. 6 pieces and 1 minifigure©. 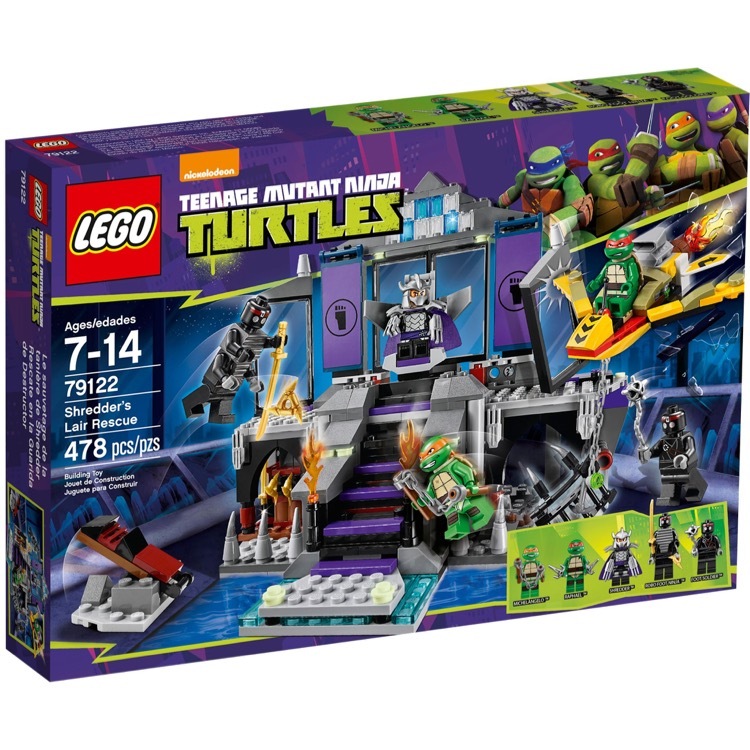 This is a BRAND NEW set of LEGO® Teenage Mutant Ninja Turtles 79117 Turtle Lair Invasion from 2014. This set is still factory sealed and the box is in very good condition with minor shelf wear. 888 pieces and 6 minifigures©. 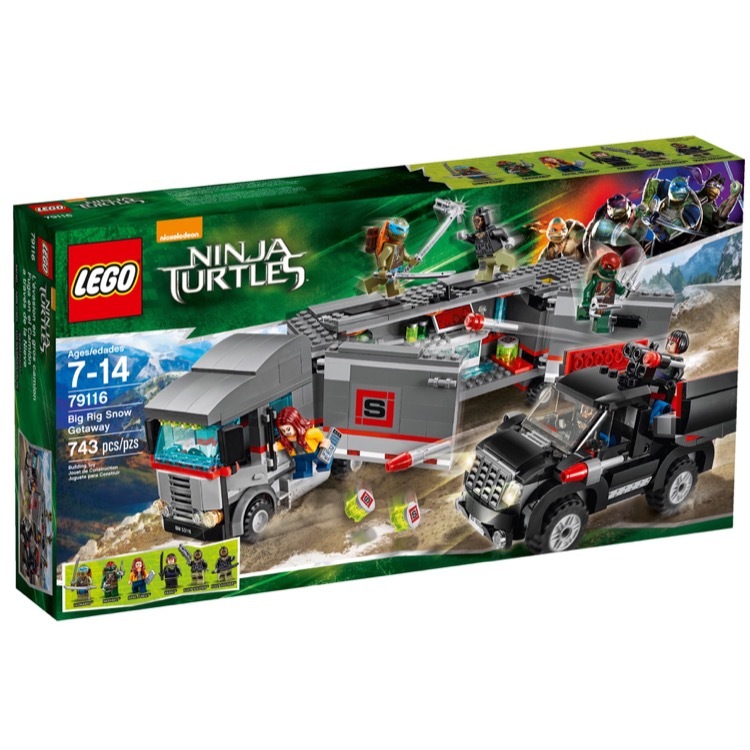 This is a BRAND NEW set of LEGO® Teenage Mutant Ninja Turtles Sets: 79116 Big Rig Snow Getaway from 2014. This set is still factory sealed and the box is in very good condition with minor shelf wear. 743 pieces and 6 minifigures©.